Similar to a college application fee, submission fees are necessary to cover the cost of office staff in processing and monitoring submitted manuscripts, as well as sending the manuscripts through our plagiarism scanning software (Crossref Similarity Check, Powered by iThenticate). This fee also minimizes frivolous submissions where authors submit a manuscript for free editing and correction with no intention of publishing with us. The submission fee covers one submission to one journal and is non-refundable. Note: Every submitted manuscript proceeds through our rigorous double-blind peer review process. 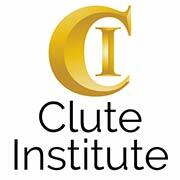 The Clute Institute, its editors, and members of all editorial teams are committed to objective and fair double-blind peer reviews of submitted manuscripts for journal publication and will evaluate manuscripts for their intellectual content without regard to race, gender, sexual orientation, religious belief, ethnic origin, citizenship, or political philosophy. For more information about our Code of Publication Ethics, our Plagiarism Policy, or our Open Access Policy, visit our “Journal Policies” page, or click here. Kindly fill in the requested information, then click “Pay Now”. PayPal transactions are protected using modern encrypted SSL security measures. A PayPal account is not required. Check payments may be mailed, or call us directly at 303-904-4750 with your MasterCard or Visa credit card information. For payments via Western Union, please contact our office. We strongly discourage sending credit card information via email or postal mail.